Registration is now open! Click HERE to register for this event. 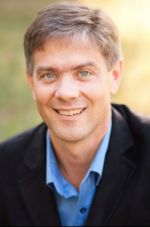 Bruce Hindmarsh is Professor of Spiritual Theology at Regent College in Vancouver, BC, Canada. To learn more about Bruce Hindmarsh, click HERE. A sanctuary for serious study, the Lanier Theological Library and surroundings offer a quiet place for reflection, learning, prayer, and research. All content ©2018, Lanier Theological Library. All rights reserved.